On June 5, 1948 in Malmö, eight business leaders gathered for the inaugural meeting of SNS, known in English as the Centre for Business and Policy Studies. They came together with a shared vision for a platform for business and academia “to jointly participate in the study and discussion of social problems.” This discussion would be built upon an ambitious research program. Their inspiration came from the United States and the Committee for Economic Development. Like SNS, this committee was a collaboration between business leaders and decision-makers, using research to find solutions to postwar public policy issues. One of the SNS founders was Tore Browaldh, who in 1948 was 31 years old. Later, in 1966, he became president of the Swedish bank Handelsbanken and subsequently its chairman. 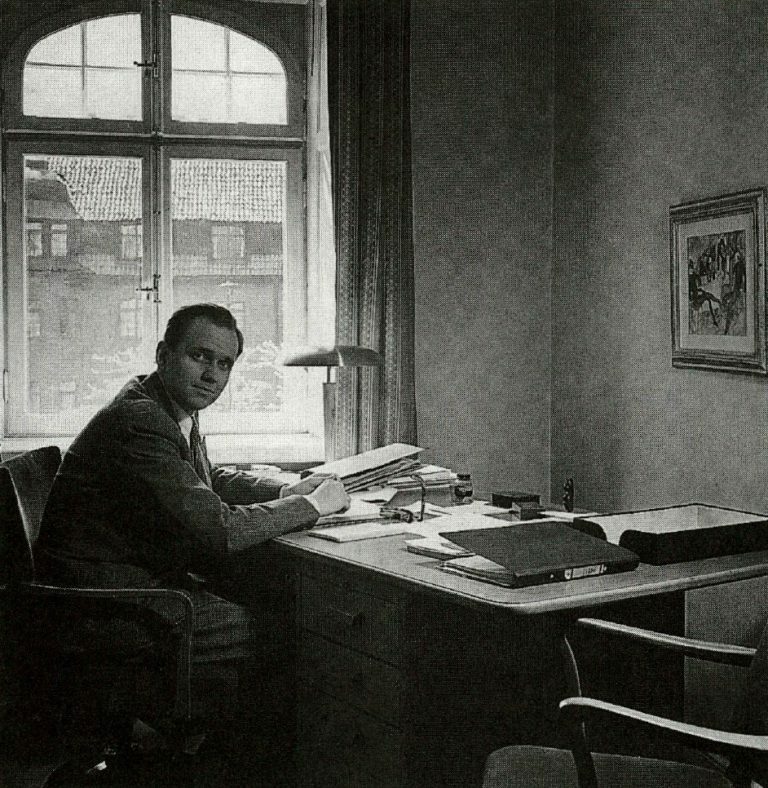 Browaldh had studied with the economist Gunnar Myrdal and became Myrdal’s assistant in 1943, when Myrdal was commissioned by the Swedish government to study the American economy. Browaldh spent part of this period stationed at the Swedish Embassy in Washington. 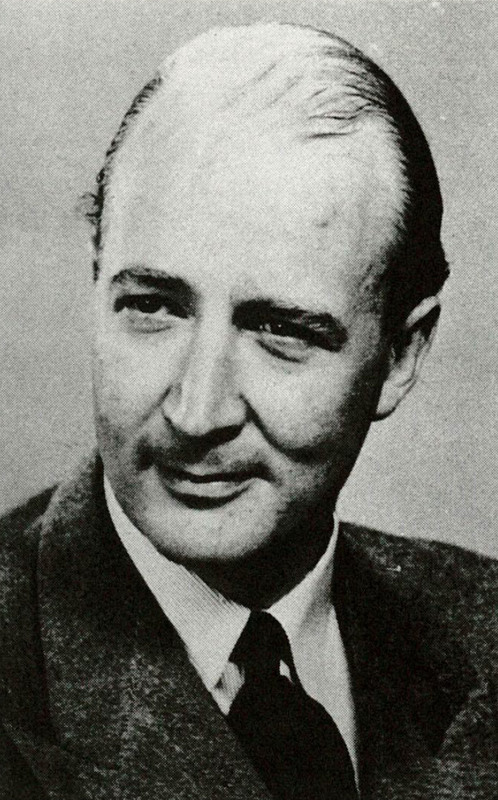 While he was there, Axel Iveroth had the role commerical attaché. Iveroth and Browaldh came into contact with the Committee for Economic Development (CED). They were struck by how the American business leaders engaged in the Committee had a greater sense of responsibility for society – for their employees and the local community – than contemporary Swedish business leaders had. 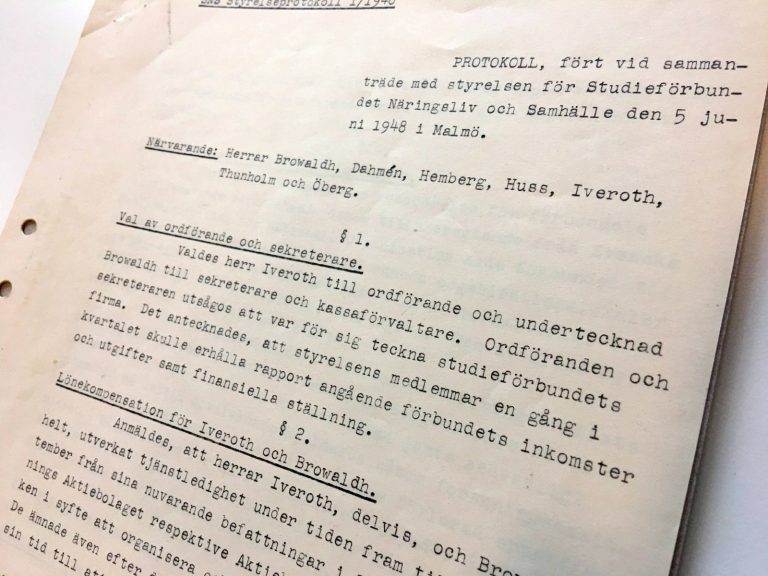 Browaldh was convinced the Swedish business community had a backward-looking mentality, dreaming of the interwar period with a weaker union movement. After returning to Sweden, Browaldh and Iveroth, together with Lars-Erik Thunholm, discussed their idea to create a Swedish equivalent to the CED with prominent members of the business community. Among those included in these discussions were NK department store’s CEO Ragnar Sachs and the head of Husqvarna, Thure Öberg. At the end of August 1948, SNS convened it first conference, entititled “The company, the individual and society” in Tylösand. The conference was led by Axel Iveroth and Tore Browaldh and gathered 24 participants. In his opening statement, Browaldh argued the importance of getting business leaders engaged in the political debate. He criticized those who distanced themselves from the political debate or even expressed contempt for politics. 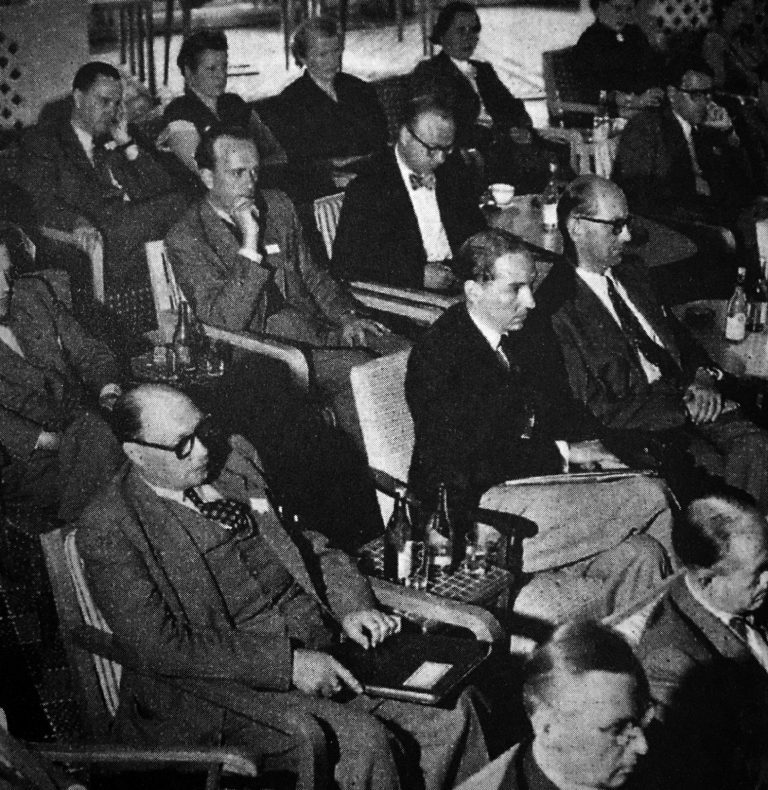 The conference in Tylösand began a long tradition of annual conferences held there from 1950 onwards. And the tradition continues today. On August 23, 2017, public and private sector leaders, researchers, and politicians gathered for the 68th Tylösand Conference under the title “Inequality and Democracy”. SNS first CEO was Jan Wallander, who later was chair and CEO of the Swedish bank Handelsbanken for many years. Wallander had a background as a researcher at the Industrial Research Institute (Industriens Utredningsinstitut) where he wrote his doctoral thesis. After his dissertation at Stockholm University, Wallander received a scholarship to study in the United States, where he worked at the Institute of Industrial Relations at the University of California, Berkeley. There he conducted research in a new way, by including employers and union representatives as participants in the research process. Wallander took these ideas with him to SNS. In 1953, Wallander left his role, heading SNS return to the Industrial Research Institute, now as its director. Wallander continued to make his mark at SNS in various capacities as a member of the board, serving as vice chairman until 1967. Here is a video recording from May 2016, where a 96-year-old Jan Wallander explains what attracted him to take the job as the first CEO of SNS. From the start, SNS had plans for an ambitious research program. 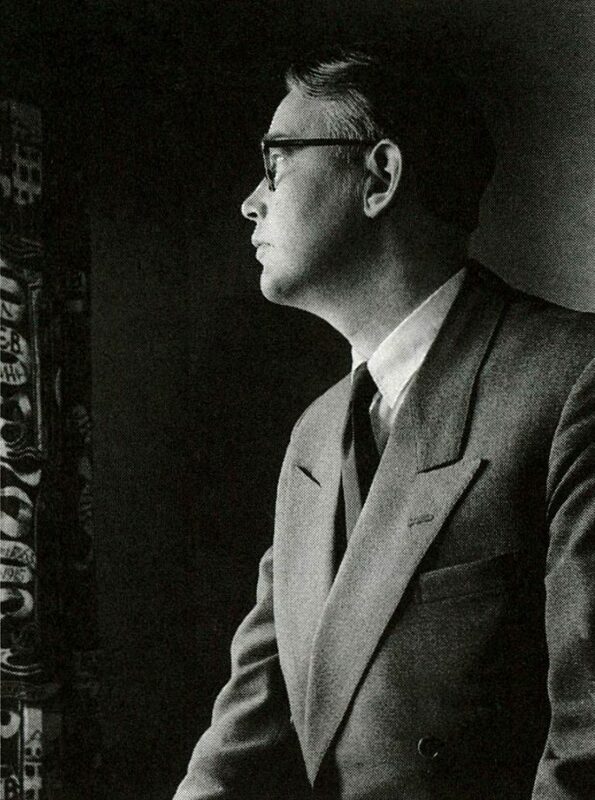 In August 1948, two months after the founding of SNS, newly-appointed professor of sociology Torgny Segerstedt was chosen to lead an SNS research program on “workers’ adaptation to business and society.” The idea for the program came from Tore Browaldh’s concerns about workers’ alienation in the new urbanized society. The result of the cooperation between Segerstedt and SNS was two research reports published in 1952 and in 1955. The reports presented the results of a survey of blue collar and white collar worker from the towns of Huskvarna (an example of a traditional patriarchal industrial community) and Katrineholm (a modern white-collar town). Torgny Segerstedt pointed to a strong correlation between life satisfaction at home and work on the one hand and the sense of trust of employers and social institutions on the other. Overall, white collar workers experienced more satisfaction in home and work, and had a stronger trust in the institutions of society than the industrial workers. Among the blue collar workers, the interviews showed a pronounced distrust of society. A significant proportion of the workers also expressed the view “that the people of this country were happier before,” something that Segerstedt noted was surprising given the significant improvement in the living standards of the working class. Social trust was an important topic in SNS first research program. 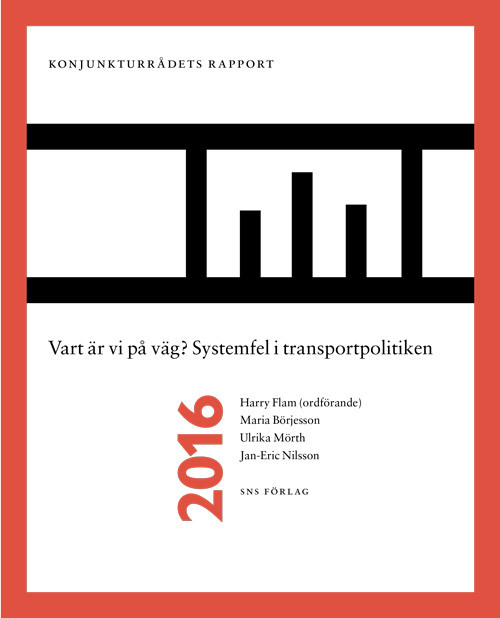 In 2013 presented a study of social trust in 33 Swedish municipalities. Another research topic that SNS took on during Jan Wallander’s tenure as CEO was the problem of anti-competitive practices in business. In the research enquiry “Competition or cooperation” (1951) SNS commissioned a group of young economists to investigate the effects of anti-competitive practices. The report discussed advantages and disadvantages of anti competitive activity. In their research process, the authors consulted with a large number of people in business. The overall conclusion was that anti-trust legislation was needed to limit harmful anti-competitive practices. This stance inevitably caused controversy for parts of the Swedish business community. In Axel Iveroth’s preface to the enquiry, he clarified the role of SNS as to conduct “open-ended investigations to create clarity about the basic facts and context and provide a basis for an objective assessment of the various issues.” He also emphasized that the researchers “have been free to draw their own conclusions they considered appropriate and submit their proposal, which they believe to be the best solution of the problem. Their autonomy means that they represent the views of no one else than themselves. The SNS Board has therefore not taken a position on the views expressed.” This commitment to researcher autonomy and independence has continued as one of the cornerstones of SNS to this day. 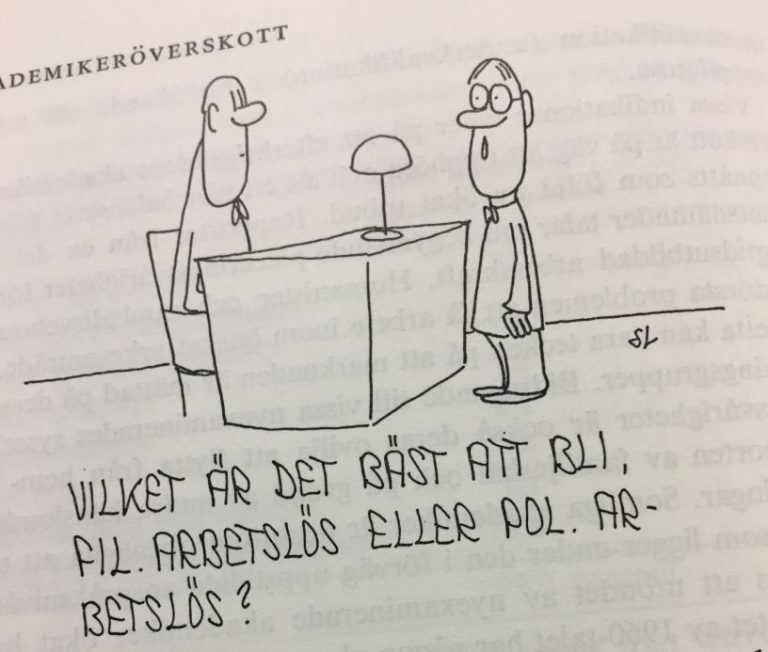 The recommendations against restrictions of competition seems to have been successful, since in 1953, the government issued Sweden’s first anti-trust legislation. Tore Browaldh pushed the idea that SNS would produce a “business ideology” in response to the socialist critique of capitalism and free enterprise. In May 1957, Browaldh gave a lecture in which he argued that both the labor union movement and industry built their worldview on false beliefs. He felt that business leaders through their “cold materialism” gave the labor movement a moral advantage in the political debate. Meanwhile, the labor movement had a lack of understanding of the central role of business in society. Companies should recognize and clearly define their responsibilities towards society. Only then, Browaldh argued, would business be able to win support for business-friendly policies. 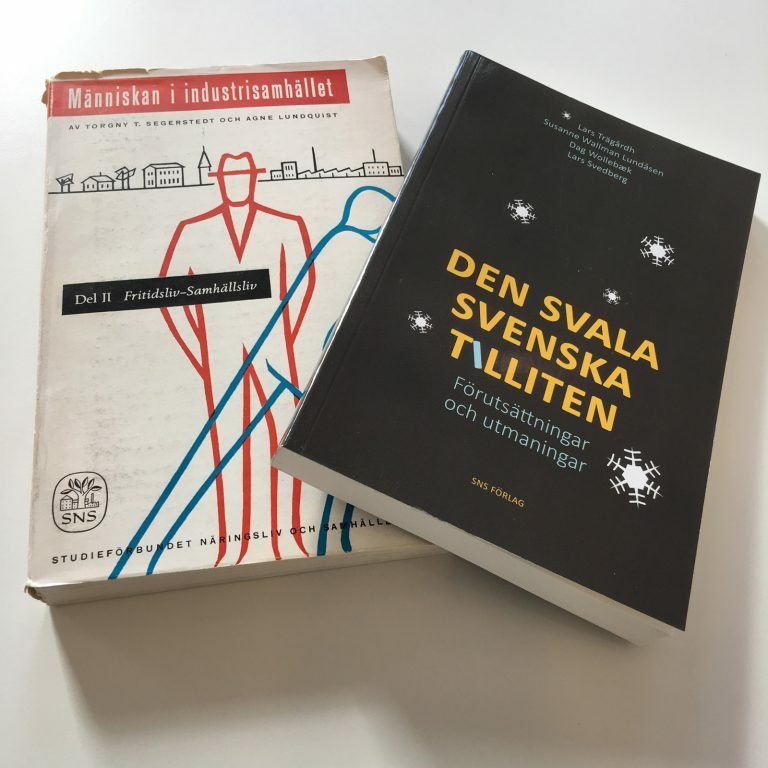 Browaldh’s lecture was published in a SNS anthology in which representatives from industry and trade unions commented on Browaldh’s views. 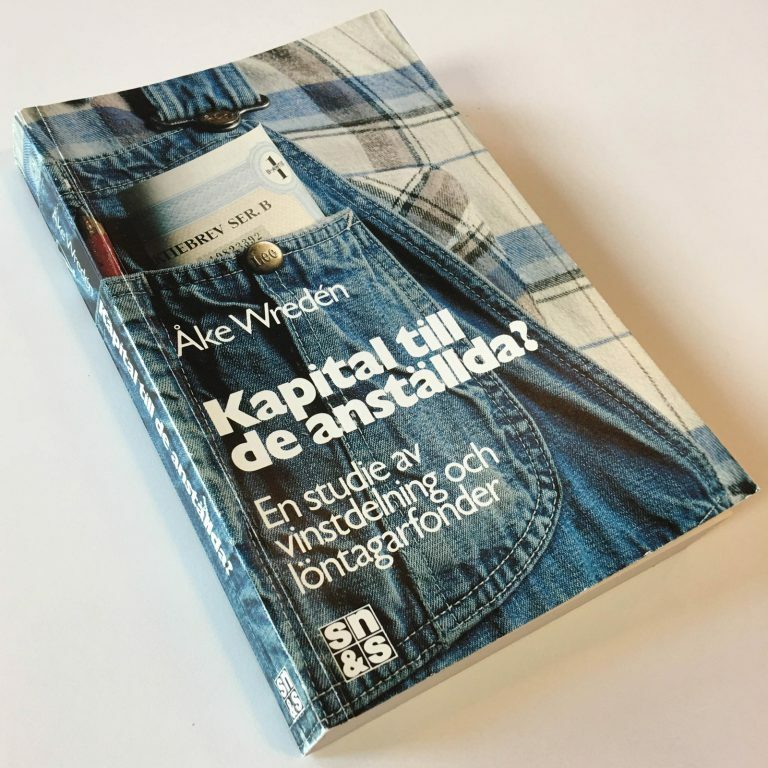 The anthology featured contributions from the Swedish Trade Union Federation’s first vice president Arne Geijer and director of the Swedish Confederation of Professional Employees Valter Åman. The research report Women’s life and work from 1962. What was then called “the woman question” soon became an important topic for SNS research. Already in 1949, psychology researcher Gudmund Smith was commissioned by SNS to conduct a survey of working women. The study was funded by the Swedish Employers’ Association. The interest in this issue from the employers’ side was rooted in the shortage of labor that prevailed during the industrial expansion in the decades after the war. In early 1955, a research plan was initiated for a large project on the status of women. The project aimed to highlight the status of women from a sociological, public policy, and business standpoint. The project was led by sociologist Edmund Dahlström, and also engaged the Norwegian sociologist Harriet Holter. The results of the research were reported in 1962 in the anthology Women’s life and work. The anthology was groundbreaking in the area of Swedish women’s studies. It focused on gender roles in society and family and married woman’s employment. The researchers introduced a new way to view gender relations. Instead of referring to the woman question, they were first to introduce the concept of gender roles to the Swedish debate. Leading up to the 50 year anniversary of the publication of the anthology, SNS commissioned a group of gender studies researchers to evaluate the gender equality policy measures implemented from the 1970s to the present day. The researchers’ conclusion was that public policy certainly made it easier for women to combine work and family, but did not seriously challenge the gender order. The result, according to the researchers, is that gender roles and gender inequalities have been maintained in the home and in the labor market. Towards the end of the 1960s, radical changes were occurring in the societal climate. The tide was going towards the left, with protests against Vietnam War and an admiration for Communist China. The private sector was met with an aggressive attitude. In a survey among students in 1968, SNS attempted to illustrate how widespread negative attitudes towards the economy were among the students. 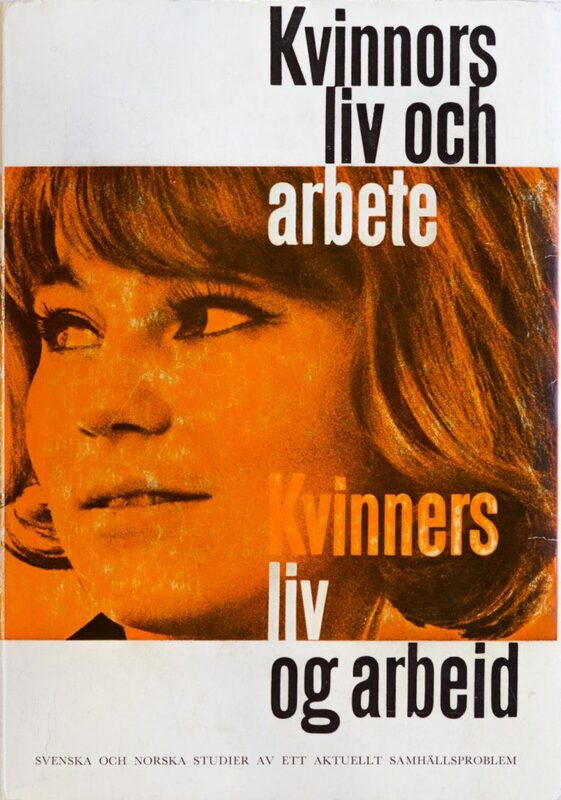 The survey showed that “alongside a small and growing vocal group of leftist radicals is a larger, more moderate group with a markedly negative attitude to business activity.” To overcome the lack of trust between students and the business community, then SNS CEO Göran Albinsson Bruhner took the initiative to bring together the 1968 student revolutionaries and leading industry representatives. On February 26, 1969, SNS arranged a “teach-in” in Folkets Hus in Stockholm, where the students could ask questions and get responses from the business community. The meeting was broadcast live on television. Representatives from the business community included Hans Werthén, CEO of Electrolux, and Jan Wallander who was then president of Sundsvallsbanken. The debate was filmed and copies of the film were sent to the SNS local groups as a teaching tool in responding to the arguments of leftist youth. Olle Wästberg, then a research secretariat at SNS, traveled around to local SNS groups and lectured on the New Left. 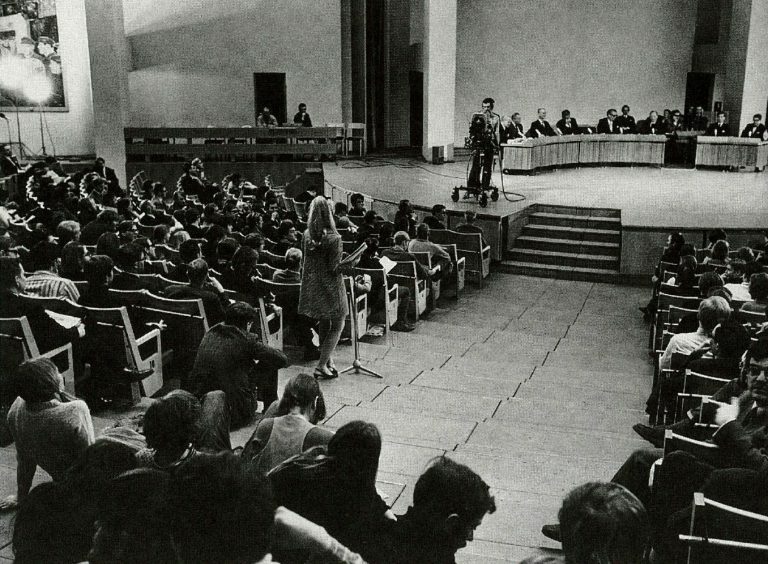 SNS organizes “teach -in” in Folkets Hus in Stockholm, 1969. The concentration of power in the business world was a controversial issue in Sweden in the 1960s. Communist leader C.H. Hermansson came out with the book Monopoly and high finance – the 15 families. The Social democratic government established a public enquiry into the issue of the concentration of power. SNS also took on this question and initiated its own study with Erik Dahmén as an advisor. Lars Lidén was commissioned to carry out a power survey including interviews with thirty business leaders. Lidén found that many of the business leaders realized the need for “self-regulation” on the issue of the concentration of power. Lidén pleaded for self-examination and greater transparency by corporations and discussed the possibility of increasing the influence of groups other than shareholders of the corporate board, such as trade union representatives. The book The power over the company, when it debuted in 1966, inspired a lively debate. Some of the interviewed business leaders felt betrayed because they did not share the conclusions. A result of the debate was that the SNS main financier, Näringslivets fond (the business sector fund), withdrew its funding of SNS. Instead, SNS introduced the so-called business membership subscriptions to fund operations, a model that continues today. A second edition of the book was issued in 1974. At that point, employees were on their way to representation in company boards, and the book was less controversial. In the 1970s, then SNS CEO Göran Albinsson again took the initiative to formulate an “ideology for business.” A working group was formed in 1972. The group appointed Pehr G Gyllenhammar as its chairman. The group included Ingvar Kamprad from IKEA; Gunnar Dahl Stone from Swedish Match, and Per Shield from Statsföretag AB (a group of state owned businesses). Olle Wästberg was chosen as the group’s secretary. As part of the effort, Wästberg travelled to the United States where he studied corporate social responsibility. Like Tore Browaldh, Wästberg found that American business leaders had a stronger commitment than their Swedish colleagues on the issue of social responsibility. SNS has continued to lead the way for that which is now called Corporate Social Responsibility (CSR.) In 2001, SNS published the book, Human Rights—the company’s responsibility? In 2014, the current SNS CEO Mia Horn af Rantzien convened the SNS Sustainability Roundtable where 18 Swedish companies met for knowledge-sharing and discussion on sustainable solutions. The New Academics—where will they go? That question was asked in 1961 in a SNS report. During the 1960s, the number of students at Swedish universities had increased from 8000 to over 30,000. There was a concern that all these new graduates would have difficulty finding a job. The SNS project focused on how university graduates in the humanities and social sciences could find employment in business. SNS initiated a pilot project in which a number of students were able to intern at companies for five weeks. The internship placements were organized by local SNS groups. The project was evaluated by a research study. One conclusion was that companies appreciated the interns and were prepared to accept more students than they had in this pilot project. The subsequent report also included studies of how the recruitment of academics to the private sector had worked in the United States and Japan, countries which had a significantly higher percentage of graduates employed in industry. In 1974, Bengt Rydén became the CEO of SNS. He stayed at SNS for eleven years and later became president of the Stockholm stock exchange. During his time as CEO of SNS, the number of corporate members grew. When he left his post in 1982, SNS could count 100 companies as members, or subscribers as they were then called. Today, SNS has 280 corporate members – the largest number ever in the history of the SNS. Bengt Rydén started the SNS Economic Policy Council, which brought together leading economists to write an annual report with independent economic forecasts and recommendations for economic policy. These reports would be research based and provide a balanced view of economic policy and its conflicting goals. A driving force in the Economic Council was economics professor Erik Lundberg. Lundberg later became Chairman of the Royal Swedish Academy of Sciences and chairman of the Committee for the Nobel Prize in Economics in memory of Alfred Nobel. The idea behind the Economic Council was to balance different perspectives and have rotation among the four members. Erik Lundberg took part in the Council for nine years. One of the members of the Council during this time was Villy Bergström, who later became head of FIEF (the trade union movement’s research institute), deputy director of the Central Bank, and editor-in-chief of the newspaper Dalademokraten. During the 1970s, the Economic Policy Council became a central actor in the public policy debate. The Council became a sounding board and conversation partner to the Ministry of Finance. Over time, the focus of the Economic Council shifted from economic forecasts to long-term structural analysis. SNS study about profit sharing and wage earners funds from 1973: Capital for employees? 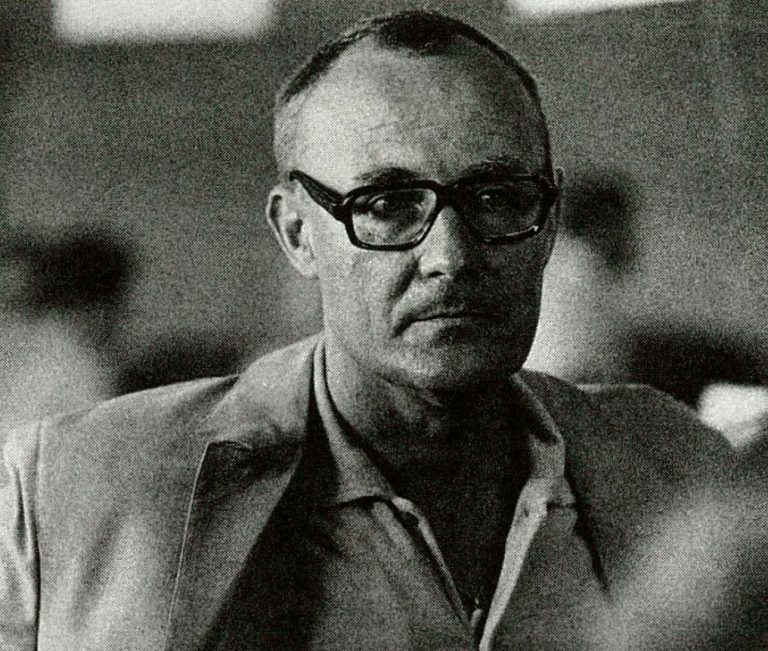 In 1975, LO economist Rudolf Meidner launched a model for the wage-earner funds (collective shareholder funds financed by special payroll and profits taxes) that incited a large national debate debate. SNS commissioned a study comparing Meidner’s proposals with various models of profit sharing in Sweden and internationally. In the closing words of the report, the hope was expressed that the study would inspire employees and employers to discuss different models of profit-sharing. Hans Tson Söderström was named CEO of SNS in 1985. He took the initiative to create a more permanent Economic Policy Council with the goal to increase the continuity between reports. Group members included Ingemar Hanson, Lars Jonung, and Johan Myhrman. Lars Calmfors joined later. During the 1970s stagflation (rising unemployment combined with high inflation) meant the Swedish economy was facing new challenges. Keynesian stabilization, which sought to maintain a stable demand in the economy and create full employment, was increasingly questioned. In economic research, the theory of rational expectations and supply side economics put the focus on the need to create long-term favorable conditions for economic growth through deregulation, comprehensive tax reform, and a monetary policy focused on price stability. Already in the 1980s, the Economic Council put forward the idea of a norm-based stabilization policy and price stability as the overriding norm for economic policy. A target for inflation as 2 to 4 percent was suggested. Under Tson Söderström’s leadership, the SNS Economic Council received a tremendous amount of attention in the national debate. Price stability became the overriding goal of the 1991 Budget Proposal from the Social democratic government. The same year saw a major tax reform with lower marginal tax rates and a more uniform taxation of capital. After the 1991 elections, a right wing four-party government was formed. A year later, Sweden was forced to abandon the fixed exchange rate which had been a central part of its stabilization policy. 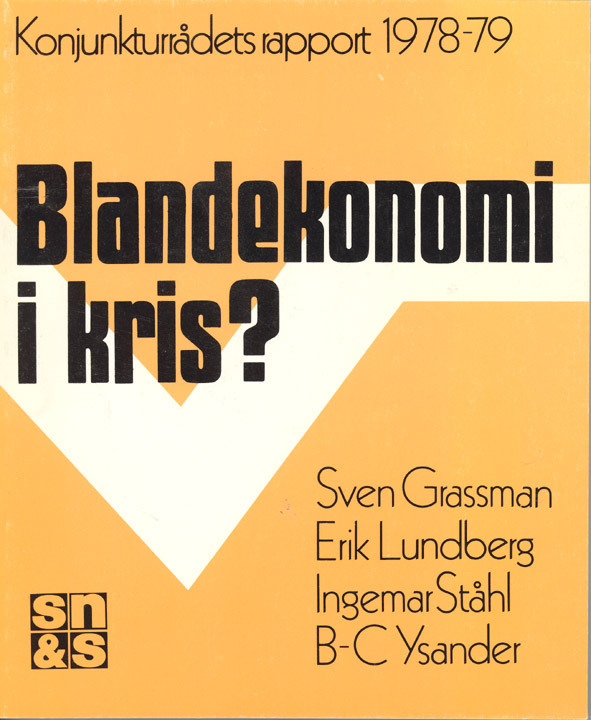 The 1993 report from the SNS Economic Policy Council was entitled Steady course with floating krona. The Economic Council warned of inflationary developments and stressed the need for the Central Bank to define monetary policy objectives that were clearly communicated. Price stability was suggested as a possible goal. Indicators of inflation expectations in the economy should be the guideline for monetary policy, according to the report. Later that year, it was decided that the Central Bank’s task was to achieve low and stable inflation and inflation targets were introduced. In the 1990s, a norm-based based framework for fiscal policy was introduced, which among other things meant that a budgetary surplus target was introduced in 2000. In the mid-1980s, SNS began a collaboration with a research group attached to the Brookings Institute in Washington. In 1987, they presented the so-called Brookings report under the title The Future Outlook of the Swedish Economy. The American researchers advocated a largely different economic policy than the one proposed by the SNS Economic Policy Council, including a flexible exchange rate policy. During the crisis of the 1990s, SNS initiated a new cooperation with American economists. This time, SNS collaborated with the National Bureau of Economic Research (NBER). 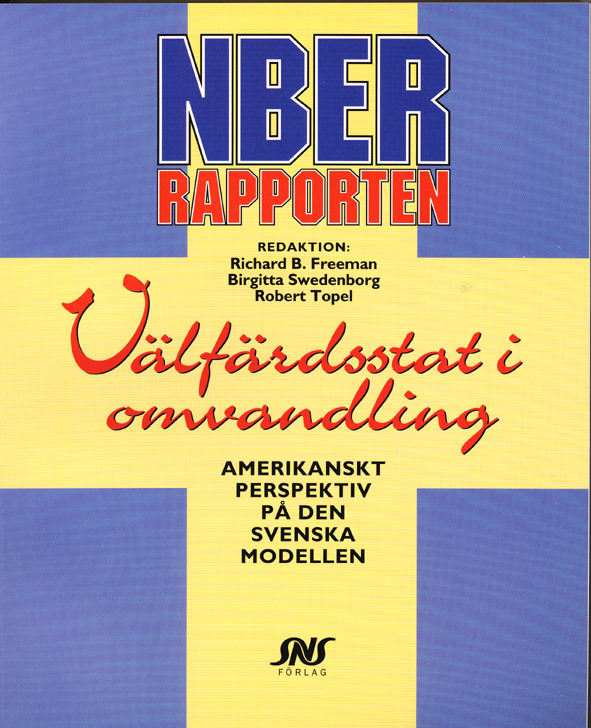 Ten US economists were called upon to analyze the Swedish welfare state crisis. The project was run from the SNS side by Birgitta Swedenborg. 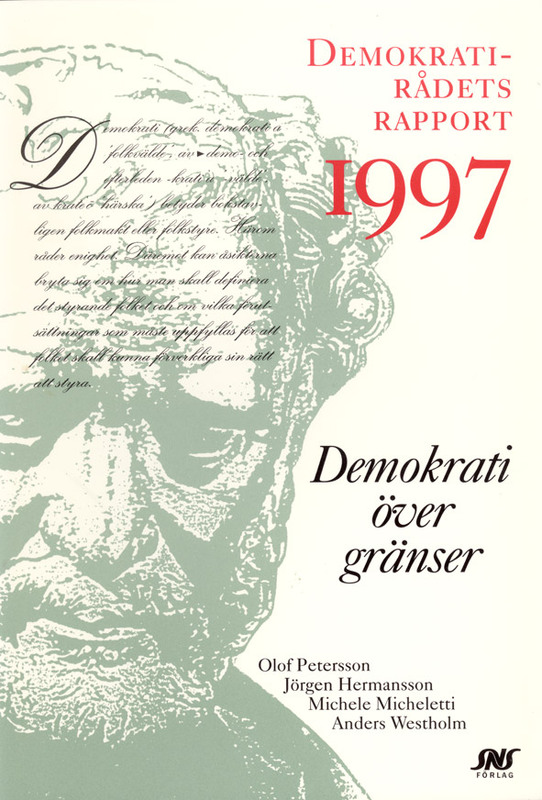 The results were presented in 1995 in the report Welfare state in transition. American perspectives on the Swedish model. NBER Report from 1995. The welfare state in transition. Report of the SNS Democracy Council: Democracy over borders. In the mid-1990s, the SNS Democracy Council was established. The idea was that the Democracy Council would constitute a political science equivalent of the SNS Economic Policy Council. Associate Professor (later Professor) Bo Rothstein was the Council’s first chairman. When I look at SNS’s history, I am struck by the strength of the idea that the SNS founders had. The SNS vision, to be a bridge-builder between research and practical decision-making in government and business, is just as relevant today as it was 70 years ago. In recent years, SNS has hit new records in the number of members and seminar participants. It is obvious that we see a growing need for a more knowledge-based public debate. We are also seeing an increased demand for physical face-to-face meetings and dialogue, as a counterweight to the digital information overload. The increased focus on corporate responsibility in business is another important driving force that makes more leading decision makers look towards SNS. The SNS founders’ ideas about the social responsibility of business, is a given in today’s corporate world.